Today, Meg and I brunched at the new Fatty's Cafe, now situated on 45th Street and 28th Avenue. I've had my doubts about this neighborhood, and still do, as it lacks foot traffic and proximity to the subway, but our experience was enjoyable- and it'll certainly make me return again. Much different than its original location on Ditmars, the new Fatty's is a lot larger and generally in better condition. The previous building from what I recall was pretty much falling apart from the outside in, but this locale is shiny, new and intriguing. 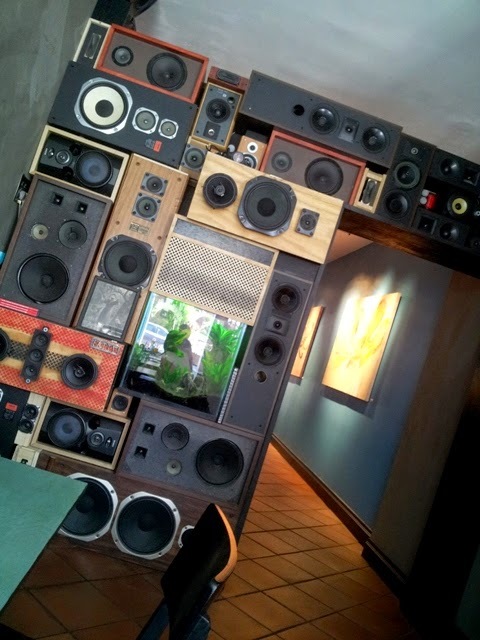 Stepping it up on design, Meg and I marveled at the interesting interior touches found in the space such as a wall of vintage speakers hugging an aquarium of all things; the reclaimed bar made of old record album covers; microphone beer taps and lots of local art. Parts of this was very reminiscent of the old Fatty's and the way things used to be yet with a fresher, cooler spin. Unfortunately the outdoor garden wasn't yet available to use, but this'll give us something to come back for. 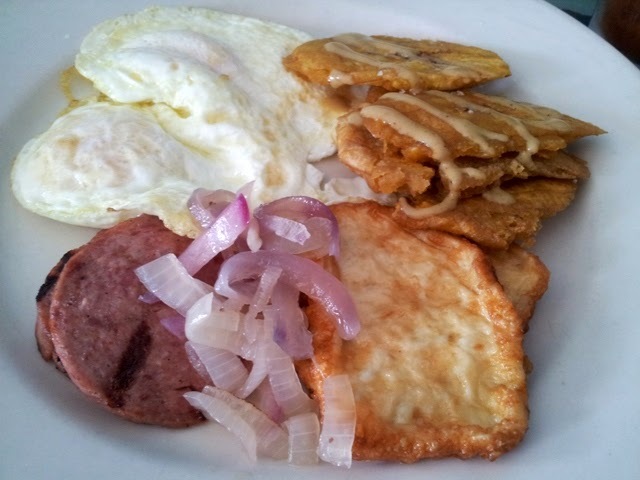 Dominican Sunrise - Not quite remembering this item on the old menu, it intrigued me. Consisting of 2 fried eggs (over easy) with Dominican queso blanco, salsichon and tostones, it was a pretty complete meal. After tasting each component, I couldn't decide what I liked best, as they were all well executed - especially that fried, salty cheese and the perfectly runny eggs. Creating a silky coating on all of these delicious ingredients, the egg added a little something special to each section of the plate. 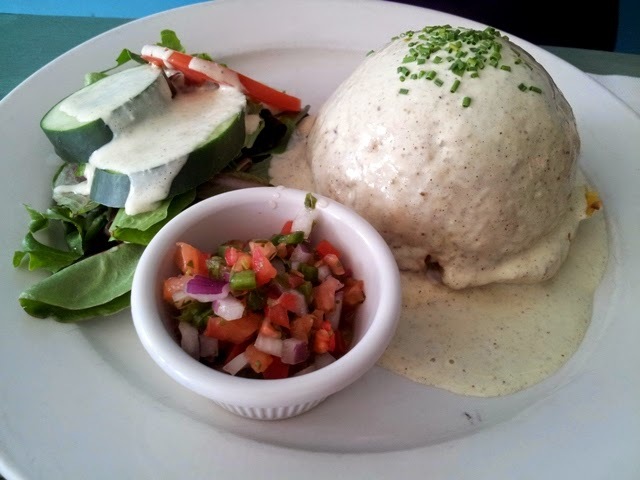 Mofongo - One of my favorite menu items, Meg ordered it with a stuffing of cheese for protein. It looked like the gorgeous mound that I remember, except that it was drenched in queso blanco as opposed to a tomatoey sauce of the past. I didn't try it, but Meg praised its flavor and confirmed that it was incredibly hearty, which made her take most of it home for later. Bloody Mary - Loving me a stiff bloody Mary, this one delivered on flavor, spice and potency. 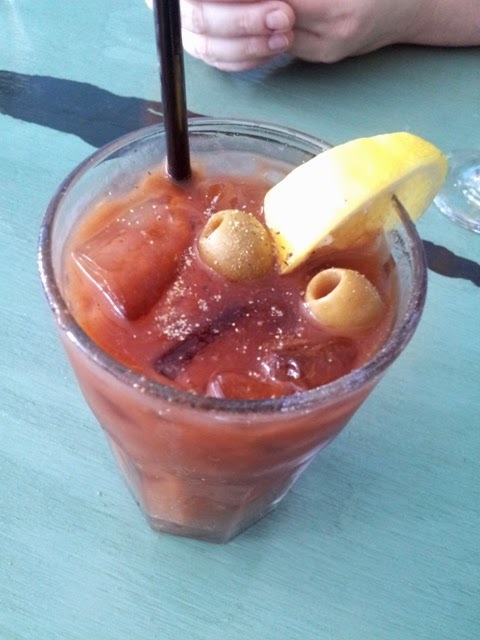 I liked that the tomato juice was super thick and that it was generously seasoned with ground black pepper and bejeweled with tangy olives and fresh lemon. I found the service at the new Fatty's a lot more pleasing and responsive than at its Ditmars predecessor. Our waitress was kind and attentive, ensuring we got everything on time, from our first sip of water til the last signing of the check. Although we were in and out in about an hour, we didn't feel the need to hurry up and could've hung around as long as we liked. Costs are affordable for brunch at $17 for your entree and morning cocktail. With tax and tip, we shelled out about $21 a piece, which was A-OK for such a solid experience. I'll definitely be back for more!